Insulin resistance influences cardiovascular health and hormone health. It starts with fat gain and higher cortisol, and it can also reflect on triglyceride levels. This will lead to atherosclerosis and heart disease, after which the body will start producing free radicals. It comes down to chronic inflammation and disease, and ultimately turning into type 2 diabetes. To sum up, it will affect many aspects of health, if not all. The simplest way to measure insulin resistance is with blood glucose test. To be more precise, the measurement of blood glucose in your blood after an overnight feast will show how insulin resistant or sensitive your cells really are. Generally, what is considered to be normal blood glucose level is between 70 to 100 mg/dL. But of course, you would want your blood glucose level between 75 and 85 mg/dL, for optimal health. If the level goes up, from 100 to 125 mg/dL, it is treated as pre-diabetic. It means that the cells are sure enough insulin resistant. If the numbers are higher than 125 mg/dL, it implies diabetes. You can purchase blood glucose tests at most pharmacies and do the test at home. In case you are interested in more elaborate information on your insulin health, reach out to your doctor for more detailed tests, like an oral glucose test. Despite the fact that carbohydrates are the ones that mainly do raise blood glucose and activate insulin secretion from the pancreas, the fat you consume plays the biggest part in the process. All the cells in the body are formed of two layers of lipids or fats. These layers are composed of healthy fats or unhealthy fats, in accordance to what you eat. If the cell lipid layers are formed of healthy fats, it will turn them into being more sensitive to insulin and let the receptors to bind more freely. Glucose will be ready to penetrate in the cell and to get burned as fuel. However, if you consume large amounts of trans-fats or perhaps you suffer a serious imbalance between the omega-6 and -3 fats in your diet, your cell lipid layers will be formed of those fats. Lipid layers composed of unhealthy fats point to unhealthy cells and higher insulin resistance. To increase insulin sensitivity and cell activity, simply consume beneficial fats. Beneficial fats are omega-3 fats which are balanced with omega-6 fats. And of course, avoid trans-fats. As you probably know, omega-3 fats are contained in fish oil, but what you are probably not aware of, is that omega-3 fats can be also gotten from grass-fed beef and wild meats. To conclude, you should get adequate omega-3 fats and consume fish and meat in order to obtain better insulin health and body composition. Omega -6 fats are actually pretty present in the typical Western diet and what’s more, they have resulted in a skewed ratio between omega-6 fats and omega-3 fats. People evolved on a diet with an equal ratio between omega-3 fats and omega-6 fats due to their diet which contains large amounts of wild meat and lack of processed foods. In nowadays’ classical diets, this ratio has been skewed to 15:1 and it goes to up 50:1 of omega-6 fats to omega-3 fats. The aim is to bring back the old ratio in order to obtain ideal health. Plentiful of studies have noted this skewed ratio and have concluded that by shifting the intake of omega-6 to more omega-3 fats will bring lower disease rates, particularly cardiovascular disease, cancer, inflammatory and autoimmune disorders and, of course, diabetes. When it comes to insulin health, fats vary in their permeability and omega-3s are in fact the most liquid of the fats. When omega-3s construct a portion of the cell lipid layers, it becomes no trouble for the insulin to bind up to them due to their liquidity. Omega-3s are subsequent most permeable, followed by other forms of fats, of which trans-fats are the lowest. Trans-fats are slushy, impermeable fats that dismiss insulin binding. 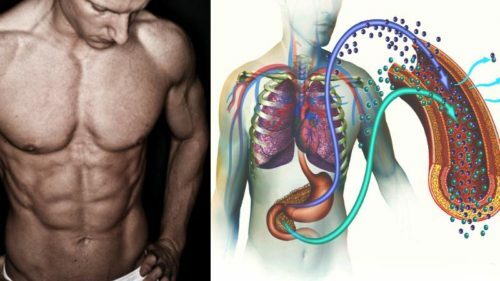 Other Tips on How to Obtain Better Insulin Sensitivity? Luckily, there are many proven ways to gain better insulin sensitivity. The things on which you should concentrate the most are diet, physical activity and supplementation. What the studies have found is that a low glycemic response restores insulin sensitivity in insulin resistant volunteers. Also, when you practice a high protein, low carb diet, you reduce hunger and lower calorie intake while boosting your energy levels. The best insulin health is gained by consuming low-glycemic index carbs like dark green vegetables and dark colored berries. This means that carbs with high fiber content produce a very moderate insulin response. What this indicates is that strawberries, raspberries, blueberries, cherries, broccoli, lettuce, cabbage, mushrooms, green beans, asparagus, cucumber, spinach, peppers and zucchini should find a place in your everyday diet. On the other hand, bananas, pineapples and oranges have a much higher glycemic index. When you eat a piece of white bread, it is digested quickly and all the carbs are instantly turned into glucose, which raises the overall glucose level and triggers more insulin to balance the high amount of glucose in the blood. However, low-glycemic bread such as multi-grain bread with added fenugreek, a herb that lowers glycemic index, is digested notably slower. This happens in connection with the gradual turning of the carbs into glucose and triggering a smaller insulin response on its way. Highly recommended foods for lowering glycemic response are nuts, fenugreek, cinnamon, strawberries and raspberries. Fructose is widely known to be contained in all kinds of fruits and in processed foods as a high-fructose corn syrup. Fructose doesn’t trigger insulin as glucose does, yet it does muddle with insulin health. To be more precise, fructose does not activate insulin secretion from the pancreas. It is in fact metabolized by the liver, and if you only eat a very small amount, the liver covers this competently. However, if the liver is not capable to balance the fructose metabolism, it will be turned into fat and lower glucose uptake, and affect insulin sensitivity. Various studies have depicted that high fructose intake leads to visceral belly fat gain and lowers insulin sensitivity, although haven’t discovered the reasons why this is the case. Thus, it’s recommended to limit the intake to 5 to 10 grams of fructose on a daily basis. This goes up to 20 grams for highly active people. Lower fructose fruits and vegetables are most berries, nectarines, avocado, tomatoes and grapefruit. Note that bananas, apples and pears are not as highly recommended. Exercise improves insulin health tremendously. In an effort to perform any physical activity like taking a walk or cleaning your apartment, your body needs energy and insulin is absolutely involved in the body’s ability to turn the food into energy. Thus, we encourage strength training and interval training. Needless to say, a higher intensity is best, but don’t undermine low intensity exercise, it has its benefits too. To sum up, heavy weights with a high volume will obviously lead to greater energy use and ideal insulin health. Generally, people weren’t built to sit for hours, hence when we are passive it affects the body’s sensitivity to insulin. There’s a study that observed how inactivity in people with desk jobs affects their insulin health. Young healthy persons who normally took more than 10,000 steps a day were made to switch to a more passive lifestyle of about 1,500 steps a day for a 14-day span. This way of life reduced insulin sensitivity and the participants gained visceral belly fat. That is why we suggest taking 10,000 steps a day and also performing regular strength training and energy system training. And on days when you don’t exercise, move as much as possible. Take a walk, get your house work done and take the stairs as many times as you can. Besides omega-3 fish oil, the most prominent nutrients which bolster insulin sensitivity are magnesium, zinc and vitamin D. It’s a good idea to get their levels tested. For zinc, bargain for a mix of zinc ororate and aspartate. When it comes to a magnesium supplement, you need one that has a blend of elemental magnesium like magnesium ororate, fumarate, glycenate, and taurate due to their ability to get easily absorbed by the body. As for vitamin D, you only need to take up to 2,000 IUs a day. Unquestionably, there are plentiful herbs, minerals, and antioxidants which will get you to optimize your insulin health by helping the insulin to bind to the cell, regulate glucose uptake, support energy use or lower inflammation. These are probiotics (boosts glucose uptake and energy levels), vitamin K (improves insulin sensitivity), coffee (reduces inflammation and supports glucose uptake) and green tea (reduces inflammation).